Friday, Mar. 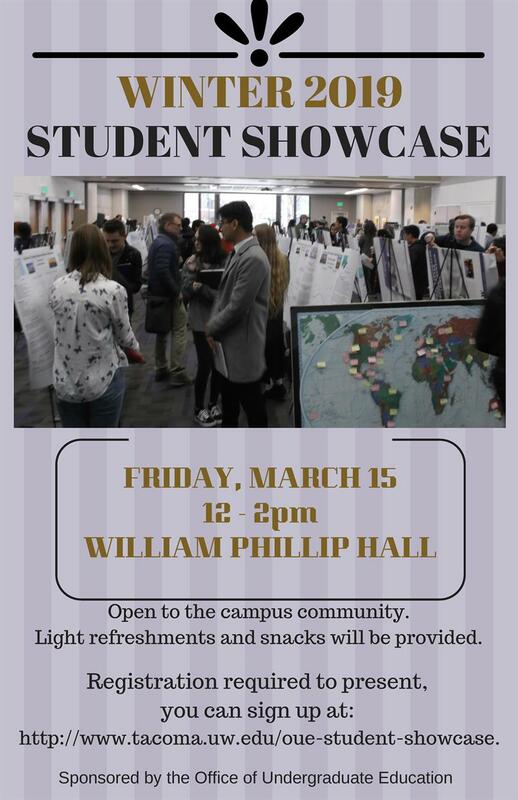 15, 2019, 12 – 2 p.m.
Our quarterly Showcase provides undergraduates students with a chance to present their research to the UWT campus community. The Showcase encourages open discussion. In the past, these have included poster presentations, short films, and art work by students from all academic disciplines. Students across all four years of the undergraduate experience are welcome to participate.